A book was published in 1899 (not typo), "The theory of the leisure class". It was written by Thorstein Veblen, a genius if you ask me. You can read it for free. However, as most geniuses, he did not understand the people, so the language he used was hard even to a contemporary reader. He explained everything so long, that I don't blame anyone who did not finished his book. Not to mention the "explanations", that were "common sense" back then, but now just plain racism. The author practically discovered evolutionary psychology, 80 years before it was formed by "real" scientists, but of course he lacked the scientific terms and explanations, to properly prove his points. 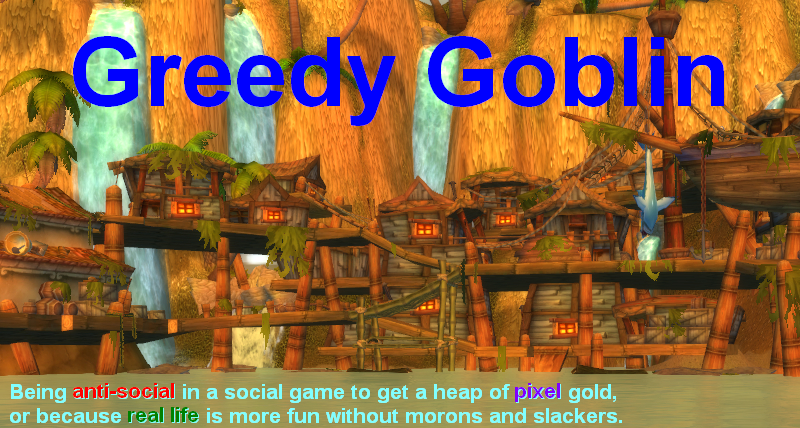 So here, on Greedy Goblin you can read this masterpiece in 3 pages instead of 90, without hard words, racist comments and long examples, and with his true, but unclear explanations replaced with up-to-date points from evolutionary psychology. In all societies, there are upper and lower classes. What's common in these very different societies, is that the upper classes never do directly productive work. Their activity is may useful for the society (or believed so), but it's never growing food, building homes, curing sick, creating common goods. These activities are performed by the lower classes. The typical upper-class activities are warfare, hunting, sports, philosophy, priesthood. It is important to mention that the upper classes are directly forbidden by customs and "laws of decency" from all productive work. Even if they lost their money, they still refused to work, and rather turned into criminals or welfare leeches than workers. This book is about why? The author claims that the reason why upper classes refuse to do useful work is displaying superiority in order to guarantee higher success in reproduction. At first one has to notice that in history until our age there was a huge difference between males and females. Men had power, women didn't, strike that, they were often property of their father or husband. On the other hand women had much better chance for longer life, since they did not fight and the "rules of chivalry" demanded that women are not to be harmed (just captured and enslaved). This behavior has a scientific explanation: according to the evolutionary psychology, a behavior (idea) survives not if it makes the people happy, but if it makes them having children, who carry on their behavior. While women suffered in the slavery of men, they were also safe to have babies and also got resources to grow them up. The number of babies of women is limited by their ability to carry them. No matter how rich or powerful a woman is, she cannot have more babies than 1/year (twins excluded). On the other hand a man can have hundreds of children every year if he has access to enough women to be the mother of these children. Of course the other man wanted the same women too, so the life of men was always a life of fighting. He either won and and had lot of children, or lost and ended up dead. Direct fighting is OK for apes. One harem-lord controlling about a dozen females, other males were wandering alone and tried to defeat a harem-lord to take his place. While apes eat fruits, and attack weak animals, a cave-man with some kind of technology (crude spears, clubs and fire) could hunt large game. Larger game meant more food, and it meant more babies. The ability of fighting predators let them spend more time gathering instead of running and hiding. However fighting with mammoths and lions is a risky thing. Women could not accept this risk since their death would mean that their children are left unattended and dead. For men on the other hand it was an acceptable risk: if they won, they could have more wives and children, if they died, they still had a chance that their already born children will survive and carry on their bloodline. Of course from the point of view of large game hunting and lion-fighting, the direct fight between males became stupid. A single harem-lord, no matter how strong he was, could not kill a mammoth. So the prehistoric human clans contained many men. Since they still wanted to have more wives, but could not take it by brute force, the "father's choice" system was implemented. The father of the girl decided who will be the husband of his daughter. Of course he wanted to give his daughter to the best hunter-fighter, since this man could provide the most resources for their babies. More babies: more grandchildren for the girl's father. Notice that while direct fighting is objective (the stronger wins), the "best hunter-fighter" thing is subjective. To get a wife, it was enough to make the father believe that he is the best. So the forming of early societies replaced direct fighting with status competition. Since then, people, males especially fight for social status, to make others believe that they are one of the bests. So much evolutionary psychology for today. The next post will show the original and genius ideas of Thorstein Veblen about how this fight for status will takes place. I guarantee that you will laugh a lot noticing his discoveries in real and WoW life too. Very nice. I love Veblen and Galbraith both. 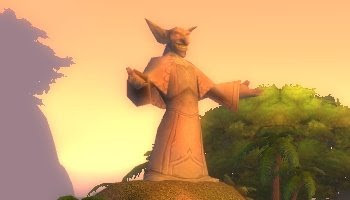 I wonder if you might go into the idea of conspicuous consumption and how it relates to the WoW economy. I think that would be a very interesting post. Very interesting read. I look forward to the rest. Is the Greedy Goblin a big fan of Ayn Rand? You have piqued my interest good sir. I can definitely see some validity in that. Looking forward to reading the next post.